With iCloud, Apple is combining clouding with the strength of iOS and OS X systems. There are plenty clouding services operating more or less in the same category. Among them can be found: Amazon S3, Google Drive, Dropbox and many others. iCloud is different since it offers some functions based on online storage but no direct access to this space. iCloud offers Photo Stream, a picture synchronization service between the Apple’s devices. When you have a new pic on your iPhone, you just need some seconds so that it is automatically made available on your mac and placed in the right place. However iCloud doesn’t allow you to manually transfer pictures onto the online storage. Another exemple would be the automatic synchronization of iWork documents. But again, without the possibility to sync PDF documents. Apple chooses the strategy to offer limited but automatic services. That is the guaranty that every existing user will be able to use the service and thus will actually use it. I think that offering few services that one might actually use is much smarter that offering millions of services totally unusable. This strategy won’t surprise who knows Apple for a long time. As a matter of fact, this strategy is exactly the same used for iPhones and Macs. iCloud is somehow also different by the fact that its main goal is to unify your devices. In fact, iCloud activated only on a mac (or a PC) brings actually nothing more than a Gmail account for example. It takes its full power when combined with iPhones and/or other macs. 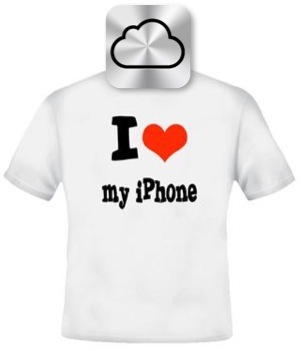 iCloud is a well polished service which really works and also is 100% automatic. A really nice and handy feature for who has more than one Apple product. It is easy to criticize iCloud with it’s pretty closed system strategy. That is because it doesn’t offer much on the paper. But whatever since iCloud actually does very well what it is designed for. The only fact to not require any user manipulation and bringing in the same time very handy services is, for me, the guaranty of one more success for Apple.